Size of this preview: ༦༡༣ × ༦༠༠ pixels. Other resolutions: ༢༤༥ × ༢༤༠ pixels | ༤༩༠ × ༤༨༠ pixels | ༨༤༧ × ༨༢༩ pixels. File:Dodecahedron.svg is a vector version of this file. It should be used in place of this raster image when not inferior. 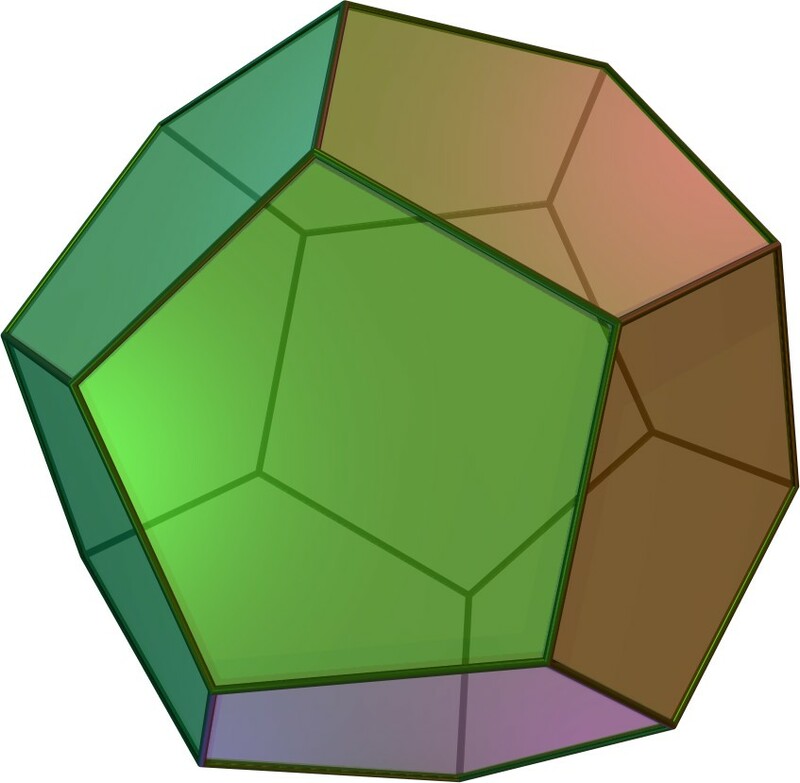 English: A Dodecahedron; a regular polyhedron. Text from en:Dodecahedron, made by me using POV-Ray, see en:User:Cyp/Poly.pov for source. Author Created by en:User:Cyp and copied from the English Wikipedia.